People are finally starting to ask the right questions about China, in particular, exposures to the country’s faltering economy. 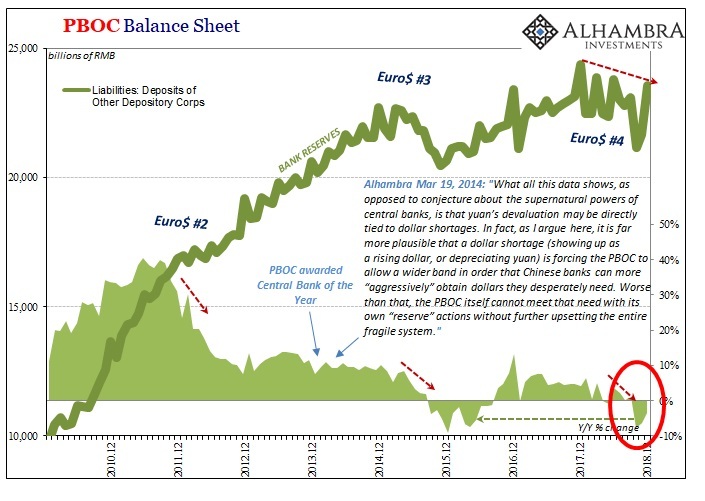 This is, after all, the basis for the “rising dollar” going back to the end of 2013. The global economy was either supposed to come roaring back from 2008 or, if it didn’t, EM’s with China in the lead were expected to be insulated from the fallout. The Chinese are the tail that would love to wag the dog, Wall Street. Good way to stock up on the reserve currency.